Those are seriously beyond Grail. Hello Folks. Long-time reader. First-time poster. 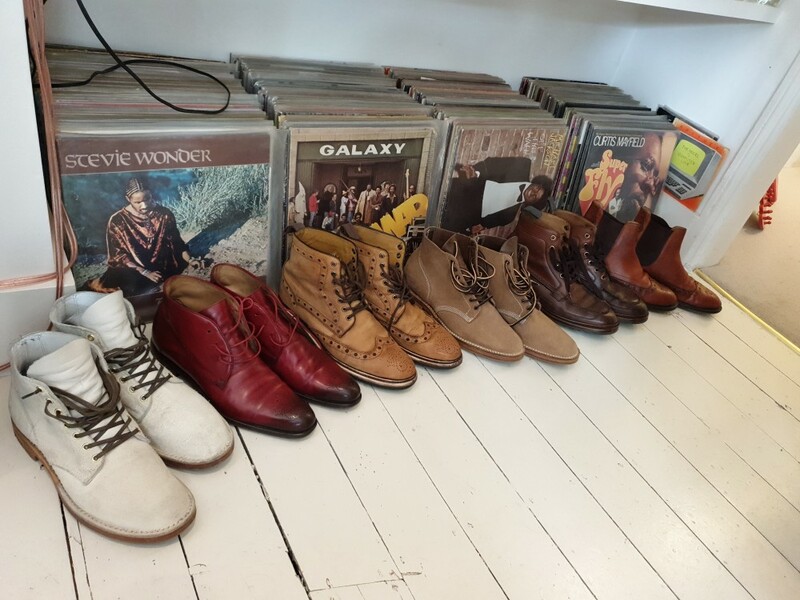 What are the details on those boots? These are Dunham's Tyroleans circa 1968. I found them almost unused about 10 years ago. I've worn the hell out of them and the build quality and fit is simply fantastic, but unfortunately, they've developed some cracks in the creases. The boots are cut from one piece of leather and I really like the speed lacing all the way to the toe. One of the reasons I registered is because you folks seem like you would understand the desire to "save" a pair of 50-year-old boots. I have plenty of boots, but these are special to me. From the pics tho, they look fairly superficial, so some good conditioner and/or oil should prevent or slow down further deterioration. Lovely boots. I agree with UnTucked, stuff them with good quality leather conditioner then use some kind of beeswax sealant on top. Thanks, guys. In retrospect, I think I was too impatient when I bought these. I oiled them once with neats foot and started wearing them immediately. 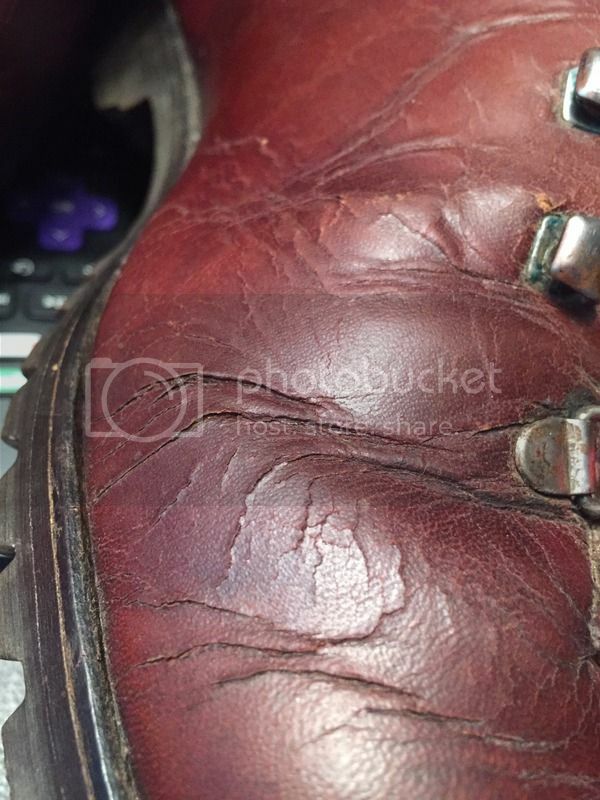 I should have considered how long they had gone without any conditioning and taken the reconditioning of the leather more seriously & slowly in a few steps. I think the leather needed more oils to fully penetrate. On the bright side, this cracking has led me here and gotten me purchase new boots in which to do the heavy work. I have promoted these old friends to "emeritus" boot status and they won't see much more rain, snow, dirt or salt of the Wisconsin winters. They'll be mostly worn as coffee house boots now. That way, I can make them live longer and keep them original without a resole. Oh my. These are just perfect. All steak (leather) with just the right amount of sizzle (those speed hooks!). They are stupendous aren’t they. Sadly you need to be able to make two trips to Japan to get the boots made, and either be good friends with Josh from Good Art, or financially irresponsible to get the speed hooks (otherwise we’d all have a pair ). Looking for a nice pair of rough out hiker boots at the moment. 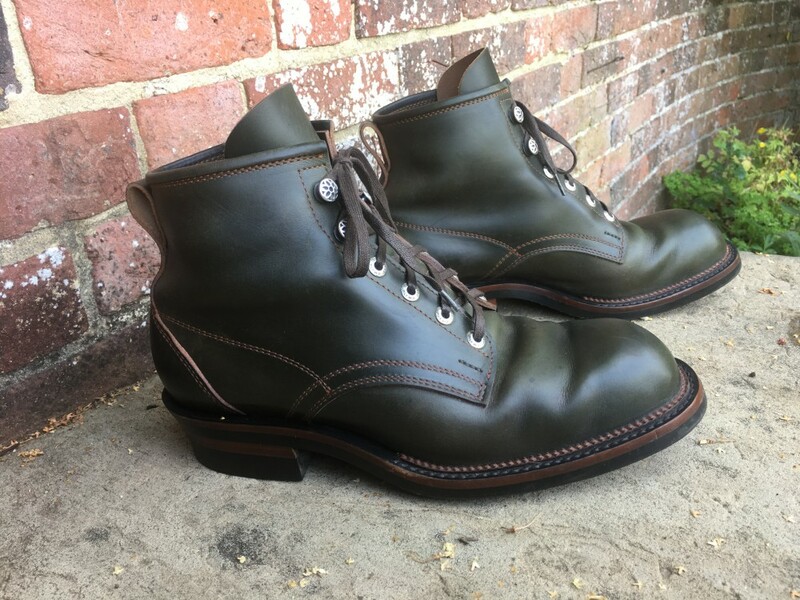 I haven't tried any Wesco boots yet - are they comparable to Viberg? I think you'll get varied answers to your question. 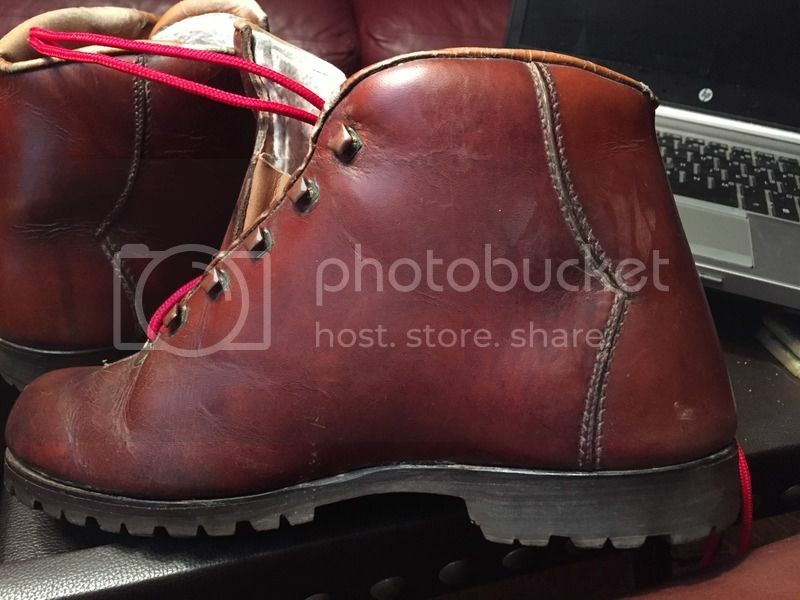 I don't own either brand but i'd guess those that do will say Wesco makes a high quality boot.